Six Weeks to Yehidah is wonderfully written, I have to say that first, the words in this book were such a delight, I consumed them completely. Melissa Studdard has a whimsical prose with a great deal of wit and maturity; she captures readers easily and completely. This book reminded me of my childhood, because growing up, I was a huge fan of Enid Blyton. Let me tell you, the woman could write, and with such flourish and originality, her stories inspired me! Truthfully I have never felt so touched by a storyteller, like I was by her, in a long time. Six Weeks to Yehidah was great because Melissa Studdard literally became my adult Enid Blyton figure, she is so talented. I can see why the responses to Six Weeks to Yehidah are so positive, I loved it! Annalise is the perfect young protagonist for her inquisitive nature and smart mind, Mable and Mimi, her sheep, offer a great enhancement to the adventure. I liked that they could talk above the clouds, the magic and overall ingenuity captured me. Six Weeks to Yehidah could be a good read for anyone. There is a religious element to the story, I won't ruin it for anyone, but in no way did it interfere with my enjoyment or the book's progress. 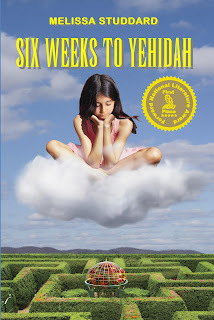 I laughed, reflected and relished the journey from start to finish; there isn't a way to dislike Six Weeks to Yehidah. If you haven't read it, find yourself a copy, I suggest it. Previous readers have compared this to works such as Wizard of Oz mainly because the concept of a journey is the same. There are a lot of contrary and absurdly peculiar characters in almost every page. Enid Blyton was a great author for all she brought to fiction. I believe that Melissa Studdard has all the makings of similar greatness. 4/5 moons! Melissa Studdard is theauthor of the bestselling novel Six Weeks to Yehidah, andits companion journal, My Yehidah (both on All Things That Matter Press). 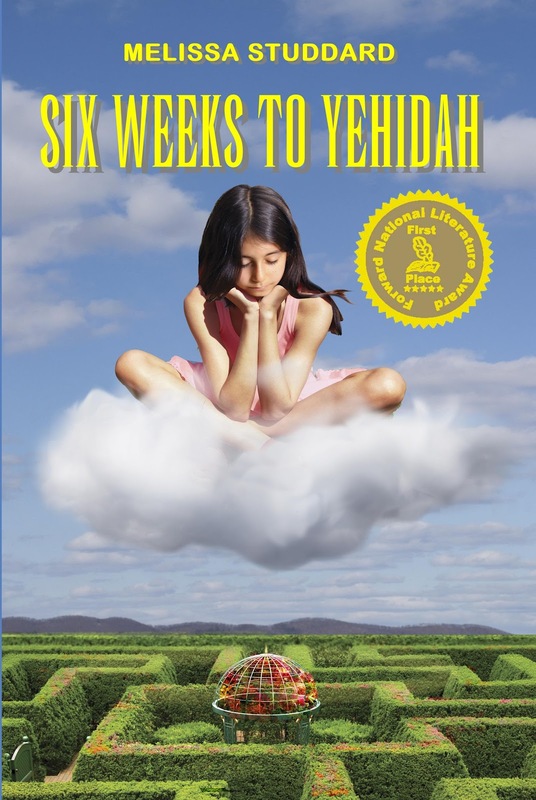 Since its August 2011 release, SixWeeks to Yehidah has been the recipient of many accolades, includingthe Forward National Literature Award and January Magazine's bestchildren's books of 2011. It was also named a finalist in the National IndieExcellence Awards and is a current finalist for the Readers Favorite Awards. Alongwith Scott Lutz, Melissa is co-author of For the Love of All (Trestle Press), which isthe fifth story in the Mark Miller’s One series and debuted inthe number one spot for Hot New Releases in Literary Criticism and Theory inthe Amazon Kindle store. As well, her poetry, fiction, essays, reviews, andarticles have appeared in numerous magazines, journals, and anthologies. 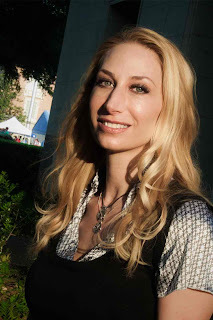 Melissacurrently serves as a Reviewer-at-Large for The National Poetry Review,an editorial advisor for Lapis Lazuli Journal of The HaroldPinter Society of India, and a contributing editor for TiferetJournal. She is also the host of Tiferet Journal’s radio program,Tiferet Talk. Melissa received her MFA from Sarah Lawrence College andis a professor at a community college in Texas and a teaching artist at TheRooster Moans Poetry Cooperative.She currently resides inTexas with her wonderful daughter and their four sweet but mischievous cats. Learn more here: http://en.wikipedia.org/wiki/Melissa_Studdardor www.melissastuddard.com. Thank you for your delightful review. I enjoyed hearing your perspective! It was my pleasure :) Thank-you for the opportunity!